Authorities have given residents in Jiugong Township of Beijing, many of whom are migrant laborers, just days to clear out before they shut off all electricity and water. Debris is left behind after migrants moved out of a building in the Jiugong Township of Beijing. People walk on a street in a Beijing migrant enclave, part of which has been slated for demolition. In one back alley, two women, their clothes and hair covered in dust, struggle to move heavy furniture out of their ramshackle homes and onto the street, where they pile it onto carts. Nearby, eggshells, a cleaver and bits of vegetables sit on a chopping board in a makeshift outdoor kitchen. It's in a courtyard made up of small, one-room dwellings, all rented by migrants. "This is too unfair to us common folk," one of the women says with a sigh. She spoke on condition of anonymity because she fears the government will punish her. "We've suffered too much. After all the years we've worked here, we have to throw everything away and return home," she says. The woman comes from a poor part of northern China's Henan Province. She and her husband have been in the capital for over a decade, selling building materials and decorating homes. Beijing's eviction of migrants, which started last month, and reports of heavy-handed tactics by authorities have sparked one of the biggest political controversies of the year in China. Along with the capital Beijing, migrants are also being pushed out of other large cities such as Shanghai and Guangzhou. In doing so, the government is reversing the flow of labor from the countryside to cities that has marked the past four decades of economic reforms and growth. With the evictions, curbside breakfast vendors, cobblers, locksmiths and deliverymen have disappeared as their homes have been razed. Some lifelong Beijing residents, recent graduates and white-collar workers have also been displaced. Even though they're Chinese, they're considered migrants because of the country's household registration system, known as hukou. Residency is determined by one's birthplace. The government's grand plan is to cap Beijing's population at 23 million — roughly a million more than now — and move non-essential, labor-intensive industries such as manufacturing and wholesaling out of the city. A fire last month in southern Beijing's Daxing district that killed 19 people seems to have sped up the process. After that, the Beijing municipal government gave districts until the end of December to demolish illegal and unsafe housing. Shops, factories, warehouses and apartment blocks used by migrants are also being targeted. 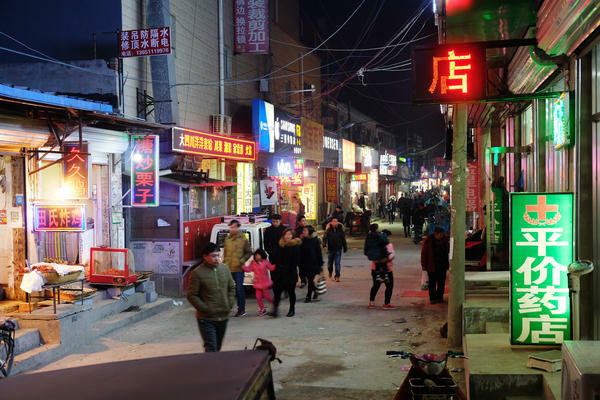 Retired Tsinghua University historian Qin Hui argues that local Chinese governments usually turn a blind eye to these slums until there is a fire or they need the land. Suddenly, the migrants' homes become "illegal structures" and are razed. Qin argues that by doing this, the government is essentially criminalizing urban migrant enclaves. "If they just fix up the fire exits, there shouldn't be any hazards to people living here," the woman from Henan Province argues. "They're just being unfair to migrants." While the government says it has held job fairs to help displaced migrants, and helped others with transportation back to their homes in the countryside, this woman says nobody has helped her. The woman salvages a few last odds and ends and stuffs them into plastic bags. She loads them onto her scooter and rides off into the freezing streets. 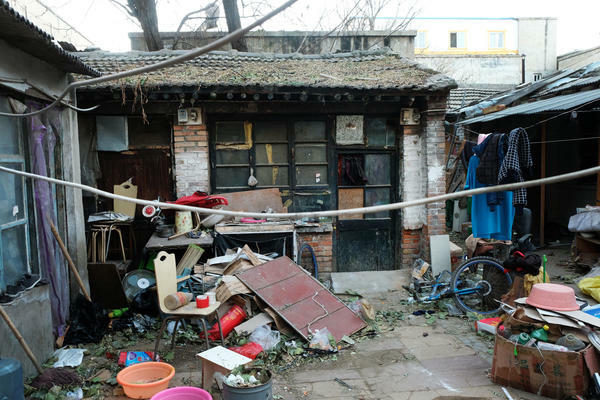 It's unclear how many of Beijing's roughly 8 million migrants will be evicted. Municipal officials declined to be interviewed. The mass evictions aren't really necessary, says Yi Fuxian, a population expert at the University of Wisconsin, Madison, because the Beijing migrant population has already peaked. "Even if the government didn't drive them out, the flow of migrants will eventually reverse itself," he says. Migrants are already leaving Beijing because its too expensive, he says, and their hometowns in the hinterland have started to get factory jobs, high-speed rail and Internet access. Yi says if the migrants leave Beijing, the capital could end up looking like China's rust belt. Beijing's population is aging, and migrants now account for more than half of residents between the ages of 20 and 39. "This is the most glorious age in Beijing's history," Yi argues. "If you stay in Beijing for another decade, you will witness the city's decline." Because the hukou system deprives them of urban services such as education and healthcare, many migrants leave their children and parents in the countryside. That arrangement has now become unsustainable. Many migrants say they're willing to be paid a bit less in order to work closer to home. Yi contends that China's economic center is undergoing a historic shift, away from the major cities and export enclaves of the coast, heading toward the country's southwest, where wages are lower, workers are younger and fertility rates are higher. Chinese intellectuals, meanwhile, have petitioned the government to halt the evictions in Beijing, calling them a violation of human rights. Even some state media have criticized the campaign. What angers many, says Yi, is that the government has called migrants a "low-end population," basically implying that they're inferior human beings. "China didn't just say this, they actually wrote it into government documents," he fumes. "This is absurd." On Chinese social media, criticism of the eviction of migrants has been heavily censored. 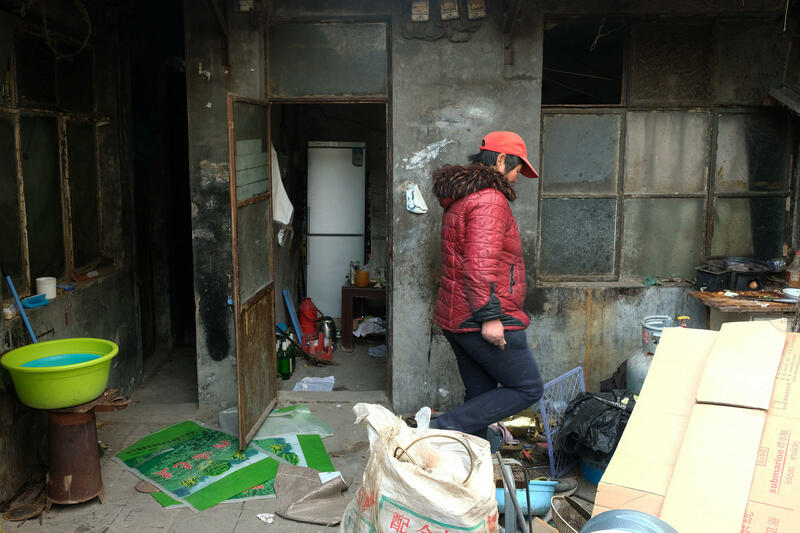 Another migrant woman struggling to stay in Beijing has fled the demolition of one storefront after another. Now she and her husband are making their last stand in Jiugong Township. For nearly seven years, they have supported a family of six with their hard work in Beijing. She also asked for anonymity, fearing punishment by authorities. Like many migrants, she gets angry when she remembers the theme song of the Beijing Olympics nearly a decade ago. It was called "Beijing Welcomes You." "In 2008, Beijing welcomed us," she recalls. "Last year, they started to show us migrants the door. This year, they're trying to kick us out altogether."